I had one of those stupidly-obvious-but-massively-valuable insights that make me smack myself on the head and wonder why I didn’t do it sooner. The mountain. The map no longer generates with random little rock outcroppings here and there. 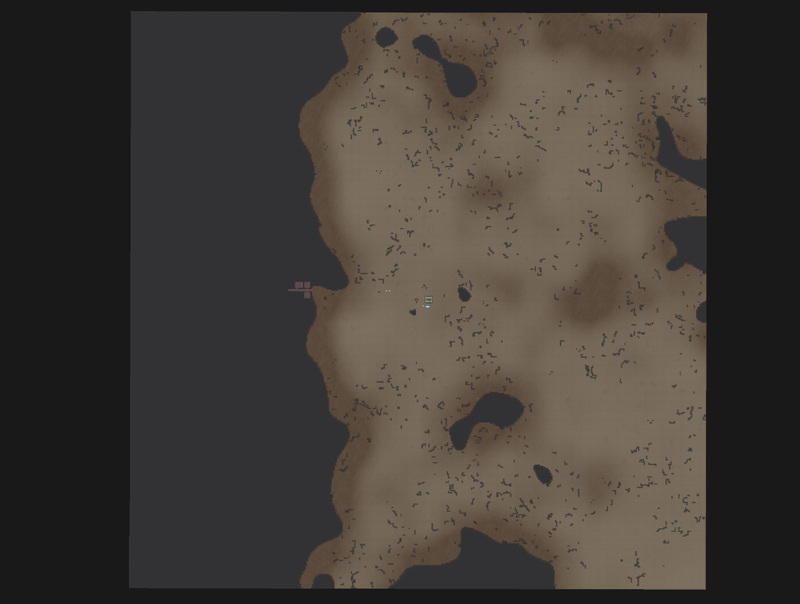 Now, one side of the map (could be any cardinal direction) is randomly filled with rock. This makes the mining-driven basebuilding strategy viable. Tonight I built the first mountain colony. Instead of spending time mining minerals to build metal structures in the open, I just mined into the rock. It’s good to see the game growing new strategies and offering new choices on the kinds of places you want to build. In addition, since I finally solved our reachability problems, I’ve been able to push map sizes up. Even the modest jump from 200×200 to 250×250 creates a huge amount of extra space (just over 50% more). The world starts to feel damn big when a character takes more than a minute to walk across it. As map sizes increased, I’ve had to solve other problems. The game no longer saves every block of rock as an individual object, but compresses them into a single bitmap. This brought save game times and filesizes down by 20-fold, so now the game saves so fast that it’s hard to notice the “autosaving” popup. 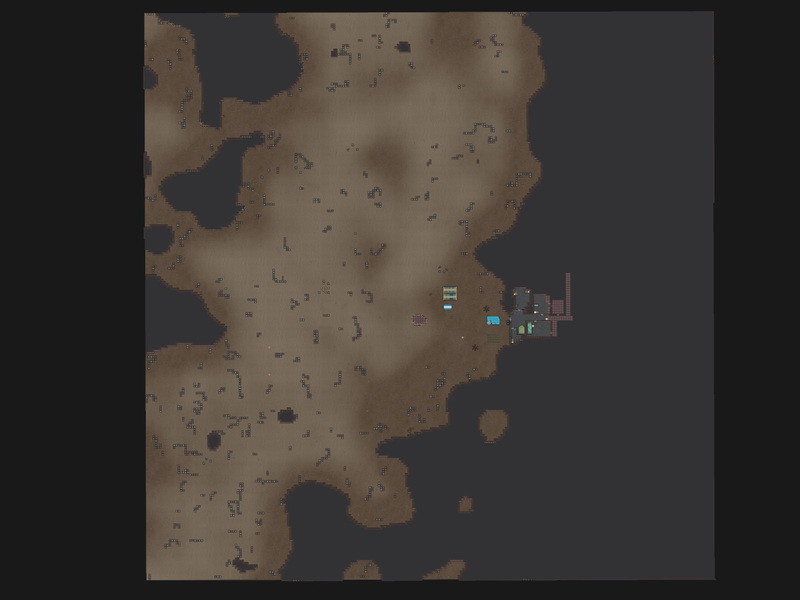 To flesh out mining I brought back my old cut fog of war system. Only now, it only fogs the insides of rocks. Exploratory mining, hooray. And there have been other new features, not all of which I want to give away here. 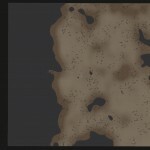 PS: Just to see if I could, I tried a 500×500 map. In the middle of the mountain edge you can see I designated several medium-sized rooms off a hallway in the mountain. These environments can get big.